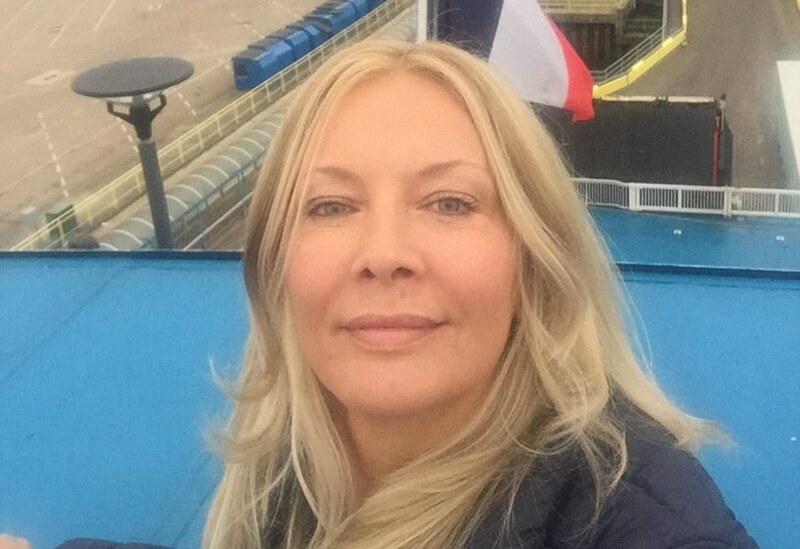 The British woman who plunged from a cruise liner into the Adriatic Sea on Saturday night before surviving a 10-hour ordeal in the water may have jumped, a crew member claimed today. 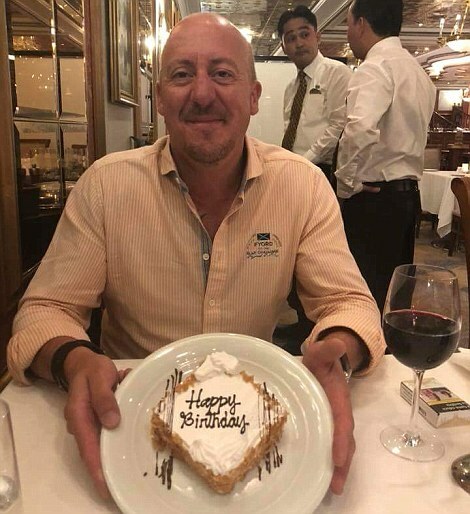 Daniel Punch, who works aboard the Norwegian Star ship, said Kay Longstaff was unlikely to have fallen into the sea by accident. 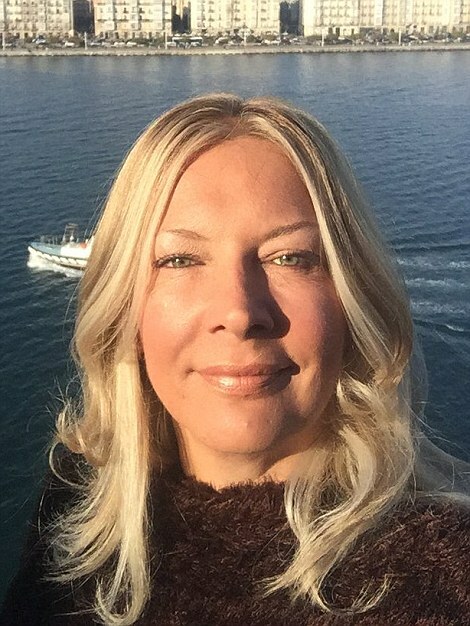 The air hostess, 46, plunged from the seventh deck of the 92,000-ton Norwegian Star 60 miles off the Croatian coast as it headed towards Venice on Saturday before being rescued 10 hours later - having sung to keep up her spirits. Police are believed to be working on the theory that Ms Longstaff jumped and believe no foul play was involved, and Italian source told The Sun. 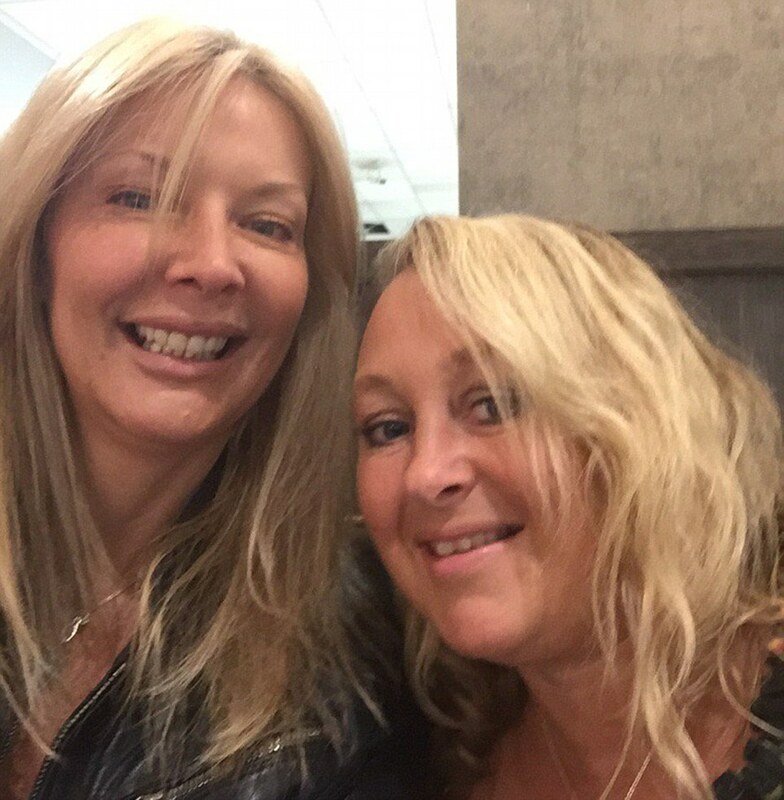 The source spoke out as Ms Longstaff was released from hospital though declined to say anything about her fall. Police have spoken to boyfriend Craig Rayment who confirmed the pair had been drinking and arguing before the plunge, the source added. After the fight he went back to their cabin before the crew informed him that Ms Longstaff was missing and they had found her bags and belongings, it is reported. It comes after a friend of Ms Longstaff said that she had a 'troubled past'. The 46-year-old, who does not wish to be named, said that he was 'very worried' about the Briton, who remains in hospital but is expected to be discharged today. Passengers have claimed Ms Longstaff, who lives in Benalmádena on Spain's Costa del Sol, had argued with friends before going overboard. MailOnline had earlier revealed how she plunged into the water after spending the evening drinking and left her handbag and passport on board. 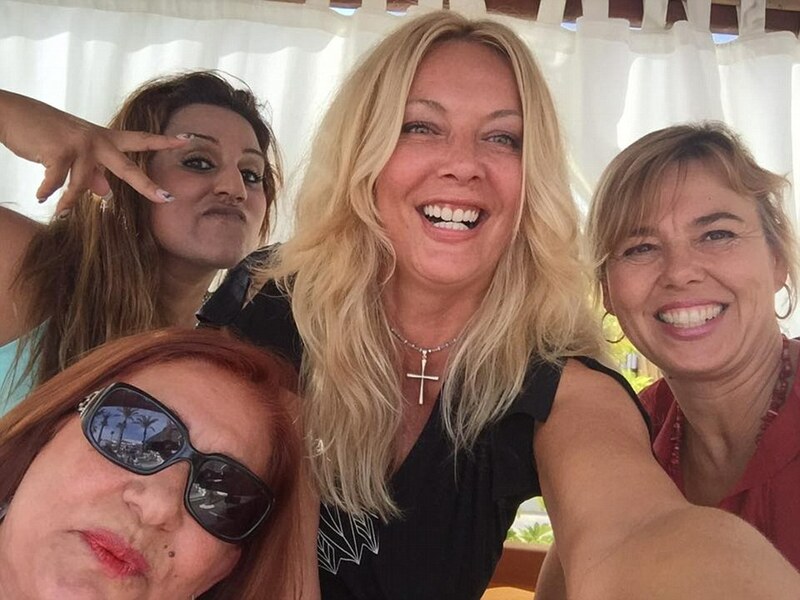 Ms Longstaff posted Facebook pictures of herself during the cruise including when the vessel docked off the Greek island of Santorini. 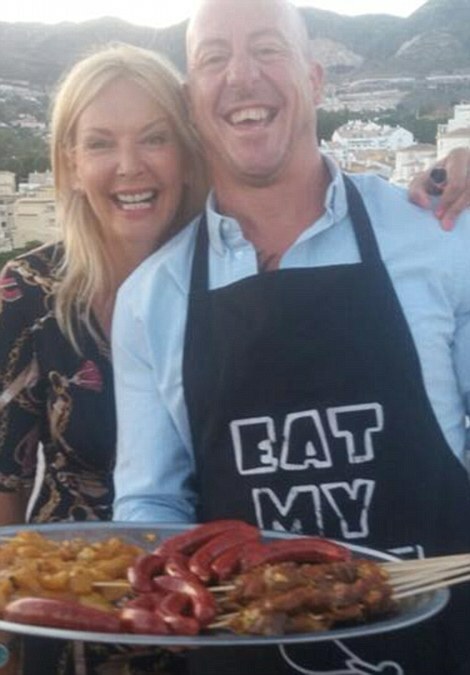 She also posted a picture of a man named as Craig Rayment, believed to be her partner, showing off a birthday cake. She was rescued after 10 hours in the sea with crew saying she managed to survive the terrifying ordeal by 'singing' and her 'yoga fitness'. It is not yet clear how she came to be in the 25C water, but Ms Longstaff says she 'fell off' the back of the ship. Her disappearance at about midnight local time triggered a frantic search by the crew after the alarm was raised. The ship doubled back to the sea area where she was thought to be and carried out at least four passes in its search for the missing woman, before a coastguard cutter and Pilatus PC-9 spotter plane joined the hunt and found her at about 9.45am yesterday. Cruise ship safety railings are designed to prevent people from falling overboard while decks are routinely monitored by CCTV cameras. The rescue ship's captain, Lovro Oreskovic, said that the Briton was exhausted and staff were 'extremely happy for saving a human life'. 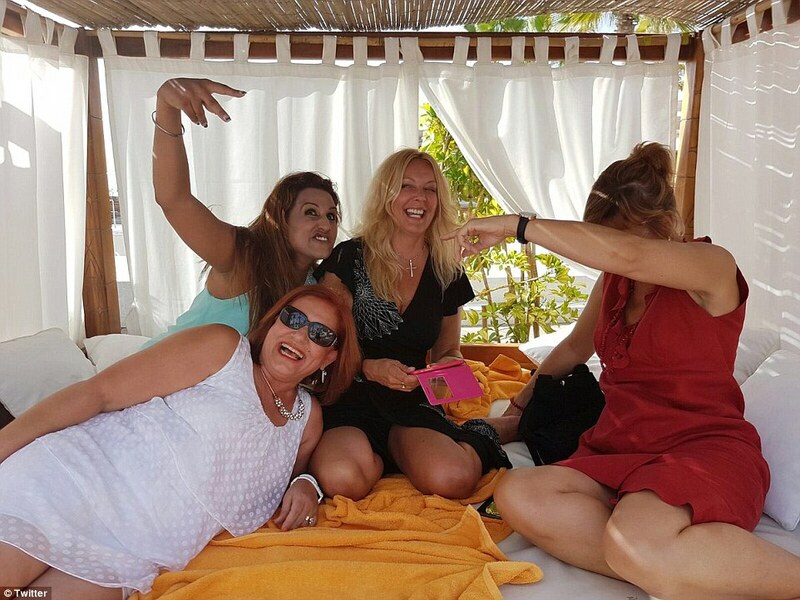 Irena Hrstic, a spokeswoman for the hospital in Pula, confirmed that Ms Longstaff is being 'assessed for stress' but is 'physically fine'. 'She is excitedly waiting for her boyfriend to come and take her home,' Hrstic said. 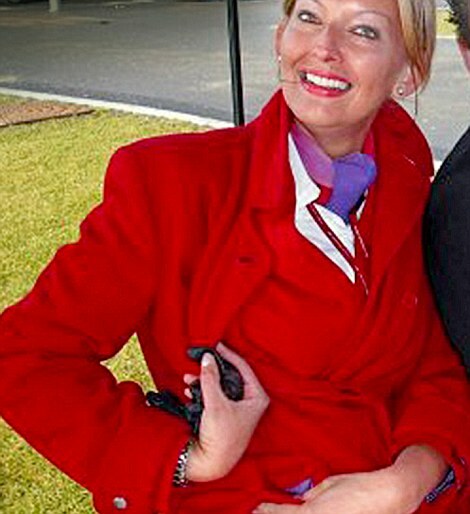 The British tourist used to work as cabin crew for Virgin Atlantic and now works on private planes. 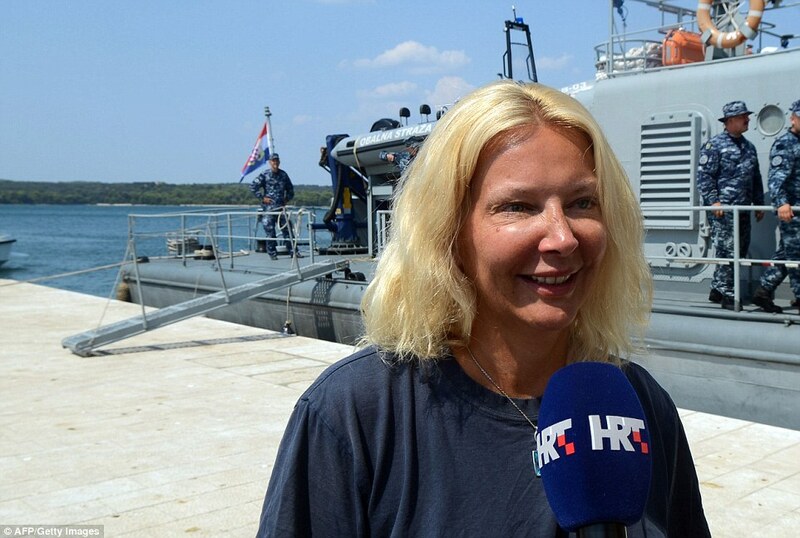 Ms Longstaff told Croatian television she was 'lucky to be alive' and it is not yet known how she managed to survive all night in the water or if she had help staying afloat from a life ring. Other passengers who were on the liner said the incident had been captured on the 17-year-old ship's CCTV system. 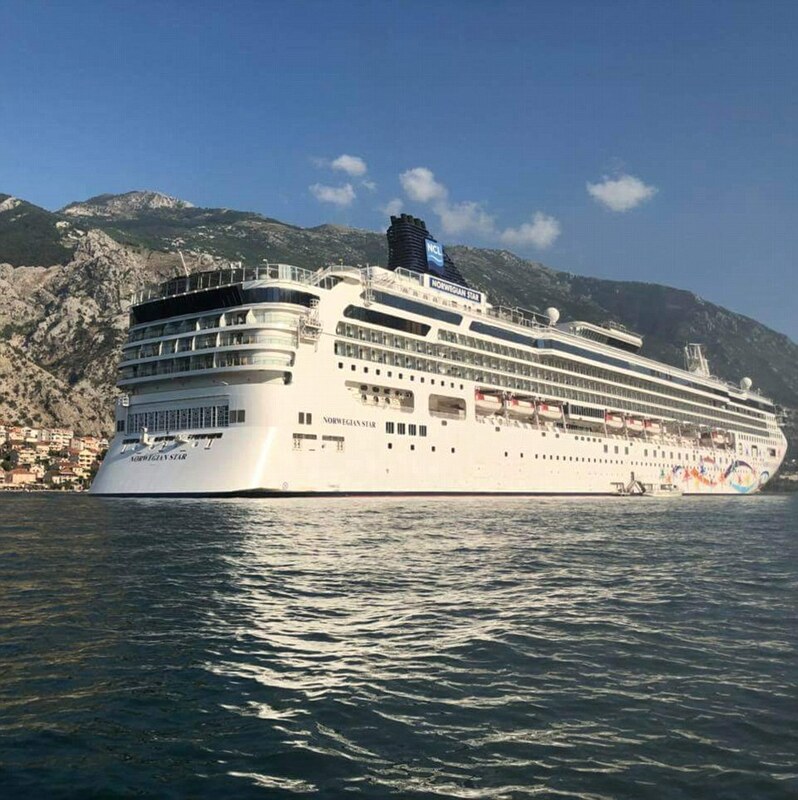 Norwegian Star had been heading back to Venice at the end of a seven-night eastern Mediterranean voyage taking in Kotor, Montenegro and the Greek islands when the drama unfolded. The passenger, who asked not to be named, said ship staff had used metal barriers to seal off the area where she is said to have fallen. Another passenger told the Sun that Ms Longstaff had been involved in arguments throughout the day. 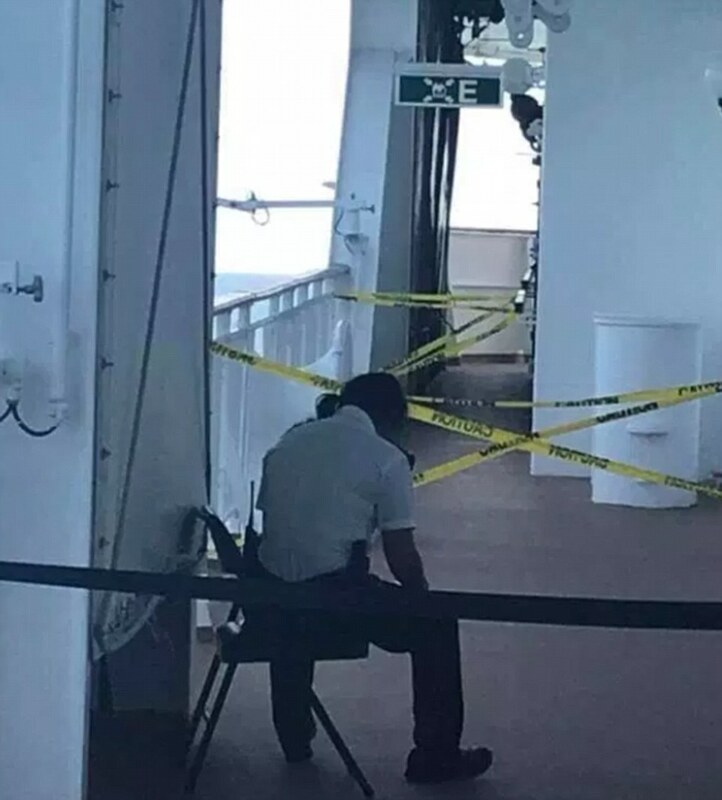 'When getting off the boat, seven hours late, a number of passengers were saying there had been a midnight dispute amongst the Longstaff party,' the passenger said. 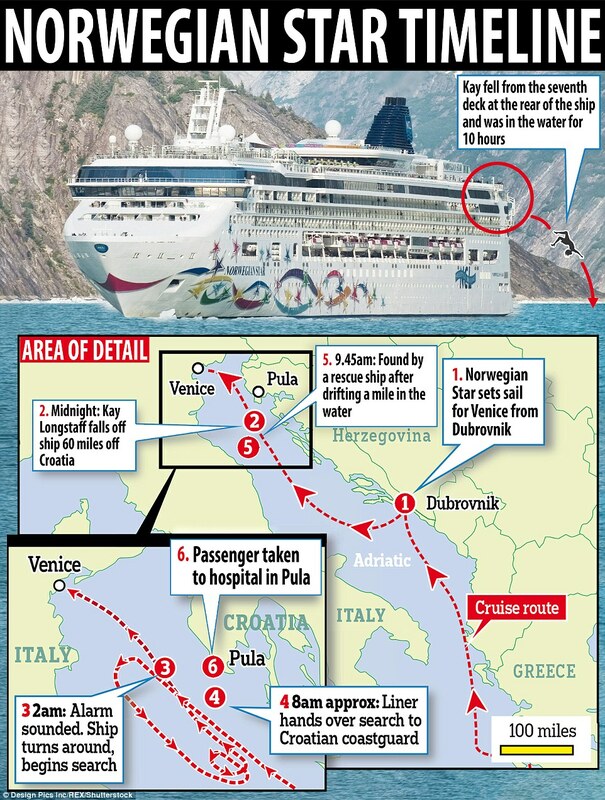 Others spoke of chaos as the liner ran into delays - and hit out at Norwegian Cruise Line for failing to help international passengers with their onward travel once the ship had eventually docked at about 2.30pm. The British woman who fell from a cruise ship and spent 10 hours in the Adriatic Sea only survived because of 'perfect weather conditions’. 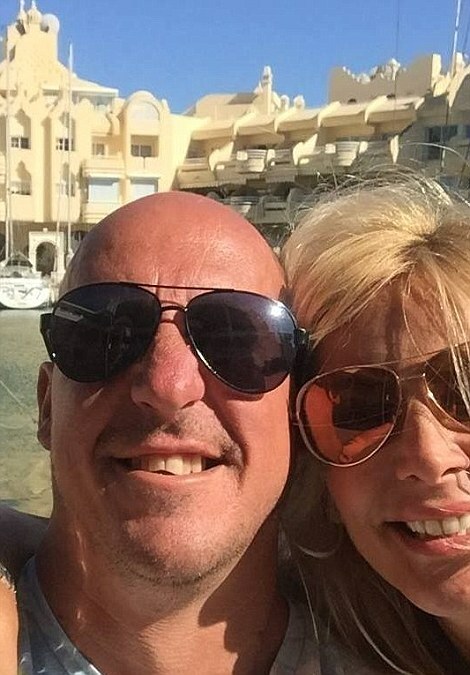 Government officials in Croatia have told MailOnline that Kay Longstaff, 46 was ‘extremely fortunate’ to plunge into warm water when there was no wind and the ocean currents were very weak. David Radas, spokesman for the Ministry of Martime Affairs in Croatia said that part of the coast had frequent summer storms. He said: 'The only reason she survived for so long in the water is because of the perfect weather conditions on Saturday night and the early hours of Sunday. 'The sea was warm, about 25.C in temperature, there was no wind at all which is unusual and the currents were weak, probably moving at no more than 2mph. 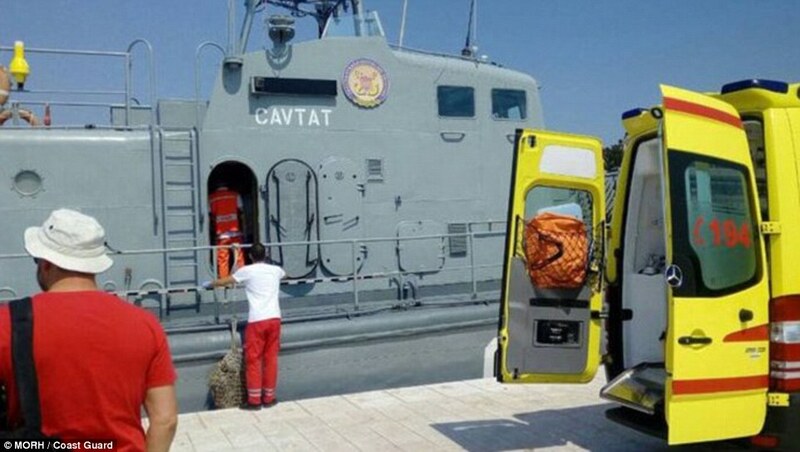 'This part of the Adriatic Sea is usually very stormy during the summer and had that been the case on Saturday night, her chances of survival would have been greatly reduced. 'Had there been high waves and strong currents then she would have most likely drowned. As it was, one of the main dangers facing her was the possibility of being hit by a passing boat. 'We use a scale from one to 10 to measure the calmness of the sea and the stormiest waters we’ve had recorded off that section of coast is five. 'On Saturday night it was classified as number one, the lowest it could be. One, called Bethany, told MailOnline: 'The cruise line was very unhelpful with helping us rebook travel plans. The only thing they gave us was 15 minutes of free WiFi to try and rebook travel arrangements. They also started a number system to get to the very few phones they did have available to use - they handed out numbers 1 (to about) 16 but only got up to number 6 while my family was number 13. She said that after 4am, she noticed 'we were going faster than usual' - supposedly when the vessel was making its way back to where Ms Longstaff had fallen. 'The captain made an announcement at around 6am saying a passenger went overboard and we were searching for her. 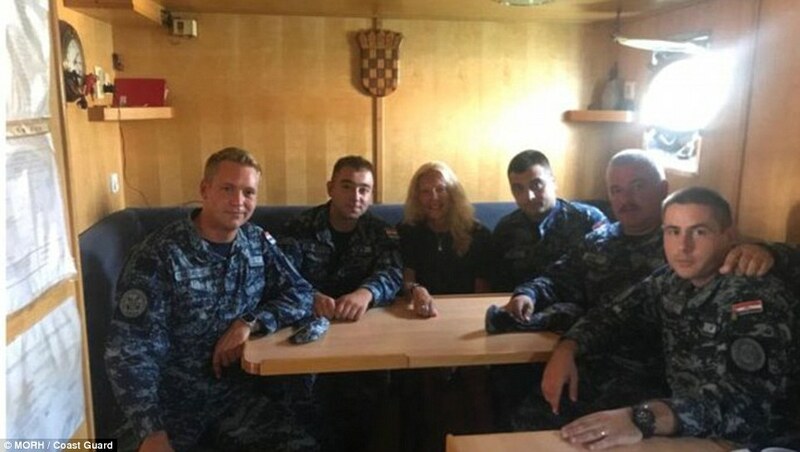 I would say we spent about 3-5 hours searching for her until the captain said he was going to suspend the search and leave it for the Croatian search and rescue teams. 'He then said we would arrive in Venice at around 2:30pm but we did not get off the ship until 5pm. The ship should have berthed in Venice at 8am but did not arrive until the afternoon, by which point Ms Longstaff had returned by sea to Pula, northern Croatia, and had been taken to hospital. 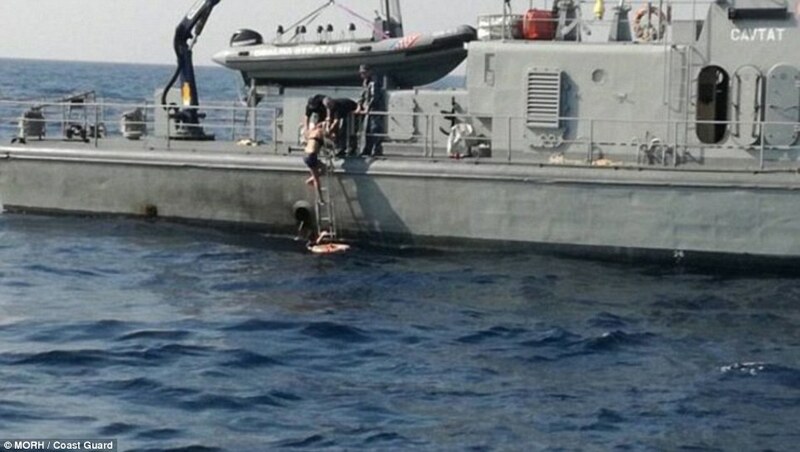 She was found about a mile from where she fell in and was brought to safety after 10 hours when rescuers pulled her out of the sea and gave her emergency medical help. The British Embassy is said to be aware of the situation. A Croatian government spokesperson said the cruise ship staff would look at CCTV to find out how the British tourist had fallen into the sea. It was still not confirmed whether she fell or jumped, it was reported. 'The Crew on board the cruise liner originally had doubts that she would survive but she was picked up alive. Earlier, he told the Daily Telegraph that Ms Longstaff was 'not injured, just exhausted, hypothermic and in shock'. 'When they reached the coast, she felt pretty much recovered. That was also confirmed by the hospital staff after they conducted a preliminary health check'. A passenger calling herself Seafoam Sally, who started a thread on the incident on the cruisecritic.com web forum, said passengers were informed just after 6am yesterday that a passenger had gone overboard overnight. 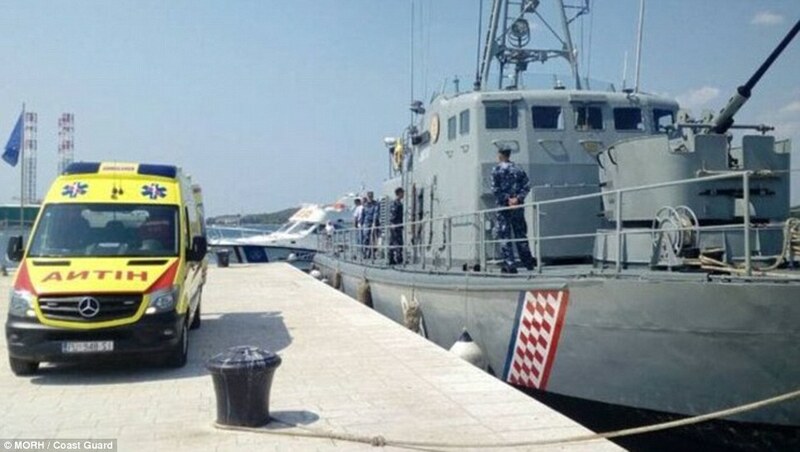 The Croatian rescue ship was scrambled from the port of Vargarola and found her swimming 1,400 yards from where she was believed to have fallen overboard. According to survival expert Mike Tipton, the water was warm and calm on the night Ms Longstaff went overbaord - factors that would have been in her favour. He said it was possible to survive in 20C water for up to about 25 hours. 'The problem is keeping your airway clear of the water. In this particular case there was a fair amount of swimming being done, but because there was a female involved, they have higher levels of body fat and are more able to float,' he told BBC Radio 4. According to the Cruise Lines International Association, man overboard cases are not common - but there are no official statistics on the annual number. Its report said last year: 'Without exception, when investigations of MOB incidents are successfully concluded it is found that they were the result of an intentional or reckless act'. 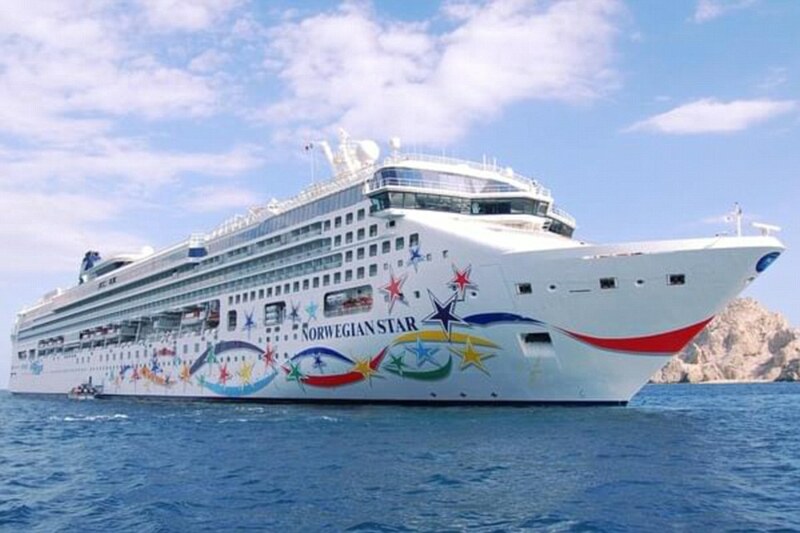 A Norwegian Cruise Line spokesperson said: 'In the morning of August 19, a guest went overboard as Norwegian Star made her way to Venice. 'The Coast Guard was notified and a search and rescue operation ensued. We are pleased to advise that the guest was found alive, is currently in stable condition, and has been taken ashore in Croatia for further treatment. 'We are very happy that the individual, who is a UK resident, is now safe and will soon be reunited with friends and family. They declined to comment on claims from fellow guests that the passenger had been filmed on CCTV falling from the ship. The firm said that it was working to assist guests whose onward travel plans had been affected by the ship's late return to port in Venice. The cruise line's website says the ship was recently refurbished and travels on round trips to the Caribbean, South America, the Mexican Riviera and the Panama Canal. It is said to feature '15 delicious dining options, 10 bars and lounges, a sprawling spa, an always-exciting casino with VIP area, plus tonnes of fun for kids of every age'. Deck seven, where the air hostess is said to have fallen from, is thought to house a theatre and at least five bars or cafes. Last month, a Norwegian Cruise worker was 'miraculously' rescued after 22 hours in the Atlantic without a life-jacket. Francis Rakochi Santiago, a Filipino cleaner on the Norwegian Getaway, was plucked out of the Atlantic Ocean after spending 22 hours in the water without a safety device before a Carnival Cruise Line ship found him.